Mark your calendars: February 9th, 2010 will herald the release of BioShock 2: the sequel to 2007's mind-rattling first-person shooter. It will be an international debut across Xbox 360, Windows and PlayStation 3. 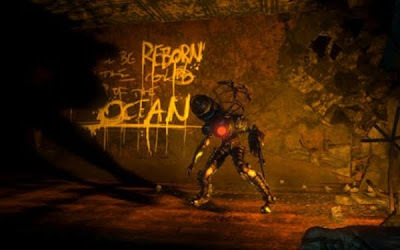 Currently in development for the Xbox 360 video game and entertainment system from Microsoft, the PlayStation3 computer entertainment system, and Games for Windows LIVE, BioShock 2 will deliver two unique, yet intertwined experiences that form the perfect blend of explosive first-person shooter combat, compelling storytelling and intense multiplayer action. Are you ready to return to Rapture? Just four and a half months to go! Can't wait!!! Been so excited for this especially since E3, the mp stuff looks great! Let's hope none of that hoopla that happened for Windows users last time will occur again. I don't think I will get it on Day 1 for this reason, just so I can see how others do.